Even though I’m a millennial I’ve just never warmed up to Twitter. I had an account I created years ago at my first job to retweet a handful of articles my boss asked me to… to all four of my followers. Since I literally hadn’t tweeted anything in several years I decided it’s time to rebrand. I deleted all my old healthcare-related tweets (all seven of them) so I’ve got a clean slate. I also updated my bio, profile picture, and header photo. I kept the bio short, sweet, and to the point but added a little personal flair by including that I’m 100% geek. I chose a current picture of myself and used a royalty-free COO licensed image as the header photo. I picked something warm and cozy, that featured books in a relaxed and laid back setting. That’s the vibe I’m going for. 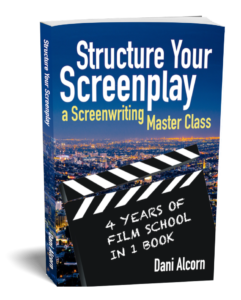 As the launch date for Structure Your Screenplay get’s closer, I’ll update it to something more specific. I considered changing my twitter handle to something specific to writing but decided to stick with my current handle @dani_alcorn. I wish it didn’t have the underscore in it, but it reads nicely and “at Dani underscore Alcorn” isn’t too difficult to say or remember. Plus, this way I’m “the brand” so it won’t just be focused on one book or project. Don’t make your Twitter handle the same as your first book. 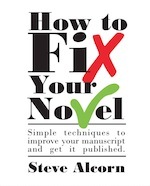 You don’t want to start this process over for your second book! I decided this Twitter account is going to be primarily about publishing. My audience base will most likely be made up of Writing Academy students and people who hear about me in the context of my work at Writing Academy and as an author and screenwriter. That means I need to provide content related to those fields so I’ll give the audience what they want. As someone who’s not super into Twitter, I didn’t want to spend hours and hours trolling hashtags (or whatever the kids call them). Instead, I took a shortcut. 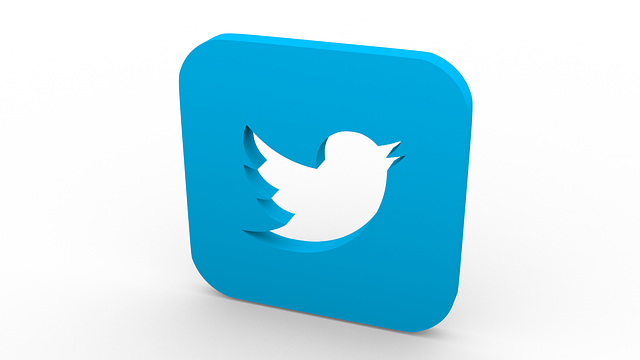 I googled “literary agents to follow on Twitter” and found a list of 74 prolific and insightful agents to follow. One of the agents I followed today will follow me back, see my posts about Structure Your Screenplay over the next few months and tweet me to say they can get me a six-figure publishing deal. Honestly, I’m not expecting this Twitter account to make me a best selling author for this book. It’s part of the long-game of being a professional author. I don’t love Twitter and don’t realistically think it’s going to have that big an impact on my book sales so I’m not willing to put in an incredible amount of time or effort. I spent about an hour giving my profile a refresh and following all those agents. I think consistency is the key more than prolific output. I’m going to start by committing just 15 minutes every morning to scrolling through my brand new newsfeed retweeting interesting and/or relevant tweets. I’ll probably tweet original things 1-3 times a week. 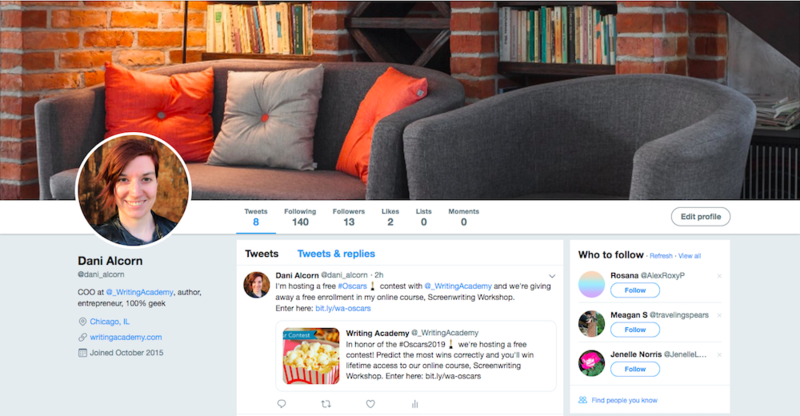 In a week or two, once I have a more well-established list of tweets (and hopefully have picked up some follow-backs) I’ll announce my Twitter handle to Writing Academy and start interacting with students. On that note, follow me @dani_alcorn!